You’re an adventurer. A visitor to far-off and magical places. And you’re looking for your next great destination. A Thailand vacation might be exactly what you need. Thailand is a popular place to be. So popular, in fact, that over 35 million tourists – half the country’s population – are visiting it this year alone. Why do you deserve a great Thailand vacation? Keep reading for five reasons why you can’t miss taking one this year. Here are our two cents on it: when it comes to a cost-effective vacation, nothing beats Thailand. Your wallet will thank you. A midrange vacation in Thailand can cost between 1,000 to 4,000 baht, or between $30 and $120 U.S. dollars. A fine dining restaurant can cost between 350 to 1000 baht, which is $10 to $30 U.S. dollars. When’s the last time you went to a fancy U.S. restaurant for $10? Brew on that for a bit, and let us know what you come up with. Of course, the savvy traveler appreciates the better things when going a long way. That’s where we come in. 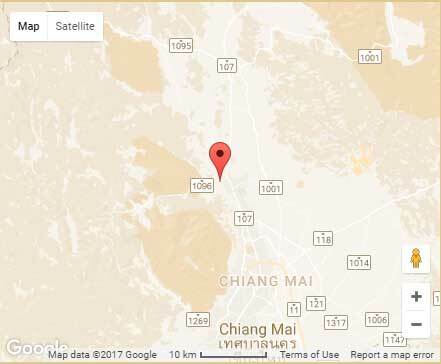 Our Lanna Thai villa accommodation in Chiang Mai consists of three private suites – the Chinese Suite, the Balinese suite, and the Burmese room. It’s the perfect solution for relaxed, elegant family holidays. Are you the kind of traveler that tastes local food everywhere he goes? If so, you’ll love the taste of a Thailand vacation. The country’s street food is wildly popular. Most people get at least one of their meals a day from street food vendors. Once you’ve tasted it, you’ll understand why – there’s everything from fried bananas, Thai curry, roti and more. Even better? The food will rarely cost you more than 40 baht ($1.30)! For all the foodies, here are three Thai street foods you can’t miss. A little bit of everything – sweet, sour and spicy. Somtam is a salad shredded green papayas, tomatoes, shrimp, garlic, peanuts and chili peppers. Fair warning: if you’re not huge on spice, ask for mild. Thai folks don’t mess around. One of the most common street vendor foods – and one of the cheapest. Kai jeow is an omelet served over rice, crisp on the outside and fluffy on the inside, often with fish sauce, chilis or chili sauce. Remember what I said about spice? Seriously. Ask for mild if you don’t eat super spicy food on the regular. Better known as noodle soup, one of the most popular Thai street dishes. This isn’t your mom’s noodle soup. Guay Teow usually consists of a chicken, pork or beef stock with rice or egg noodles (your choice). You’ll also often spot vegetables, wontons, sliced meat or meatballs. But it’s the condiments that set this soup apart. Dried chili peppers, sugar, lime juice and fish sauce are popular. We can’t blame you if you love the food so much you want to take it home with you. That’s what our cooking classes are for. Our Thai cooking classes in the Rim Tai kitchen are designed by our resort’s culinary team for a hands-on adventure in Thai cooking. They offer a great experience, whether you’re a seasoned chef or a newbie looking to try your hand. No Thailand vacation is complete without a proper appreciation for the glories of Mother Nature that the country has to offer. Then, there’s Thailand’s treasure trove of islands, better known as the place to find an oasis from the troubles of your day-to-day life. 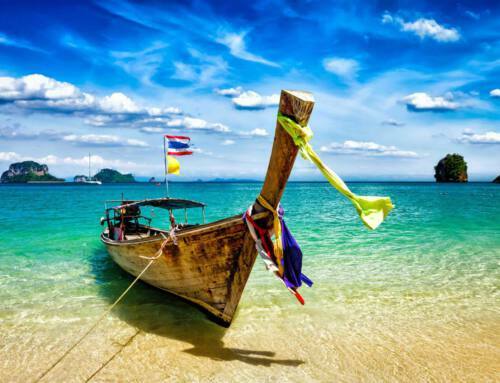 Check out this list of the best of Thailand’s undisturbed islands. Noticed some serenity missing from your life? Thailand’s temples, or wats, are a great way to restore your peace of mind, especially the abundance of temples in Chiang Mai, our own backyard. The best-known temple in Chiang Mai is probably Wat Phra That Doi Suthep, which is also one of the most sacred. It is said to enshrine a piece of bone from the shoulder of the Buddha himself, brought there by a wandering monk. Don’t be dissuaded by the 306-step staircase flanked by serpents. 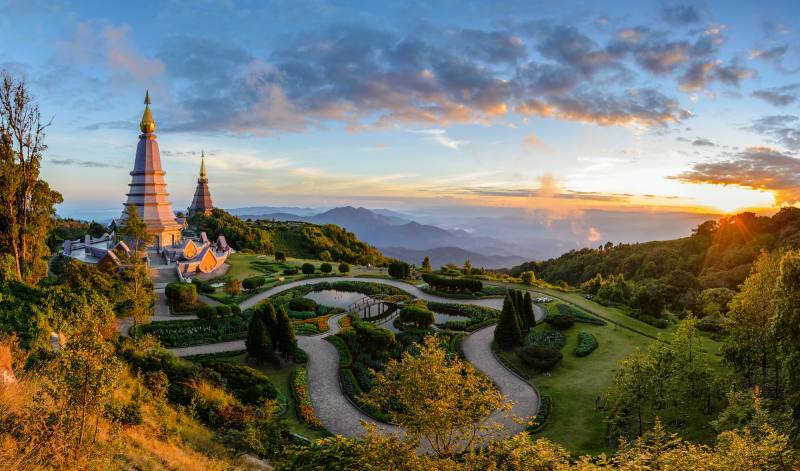 Seeing the temple on its mountain throne, and the views of Chiang Mai below, are well worth the trek. Celebrate good times. All the time. It’s good for the soul. Really, Thailand loves its festivals. Timing your Thailand vacation with a festival is a great way to have fun, let loose with the locals and unwind from your 9-to-5. Most of the festivals are derived from aspects of religion or the lunar calendar. Don’t hit the snooze button – you’ll never be bored at a Thai festival. Take, for example, one of the major festivals of the year: Thai New Year, or Songkran. What’s the big deal? Basically, it’s a nationwide water fight. One of the biggest celebrations of Songkran is in our backyard in Chiang Mai. If you think the six-day festivities are just for the kids, you’ll soon be proven wrong. Everyone – children, teenagers, the elderly – dances on the street. Vendors are everywhere selling water guns and mixing buckets of clay. Fair warning: you’re going to have your face smeared with clay while getting wished a happy new year. This is not optional. You deserve a great Thailand vacation to find an experience that will leave you feeling refreshed at heart. Our resort is just the right place to start your adventure. The Four Seasons Hotel at Chiang Mai is one of the best luxury resorts in Thailand, with a seat in the rolling Himalayan foothills. Its first-class facilities are set in an 80,000 square mile estate. 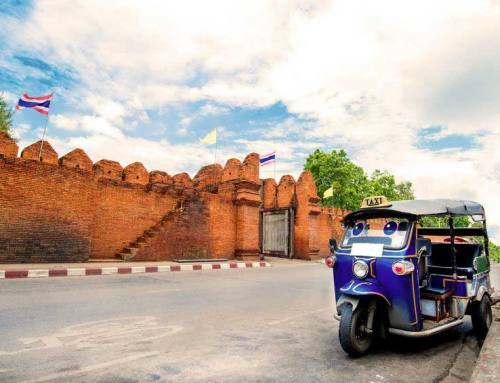 Ready to book your Thailand adventure? We can’t wait to have you stay with us. Click here to go to our booking page!